Ministerial Committee on restructuring and reformation of Nigeria Maritime Administration and Safety Agency (NIMASA), set up by the Federal Government in May 2016, in order to properly re-position NIMASA for effective and efficient performance of its statutory functions, has submitted its report. Minister of Transportation, Chibuike Rotimi Amaechi, while receiving the report, on behalf of the Federal Government recently in Abuja, said the intention of Government to set-up the committee was basically to ascertain the numerous challenges militating against the agency’s performance of its functions, and re-positioning it, in order to function in line with international best practice. He noted that the exercise was not to witch-hunt anyone. “When we decided to set-up the ministerial committee on the reformation of NIMASA, our intention is to know what NIMASA is really about, and not to witch-hunt anyone”, he said. 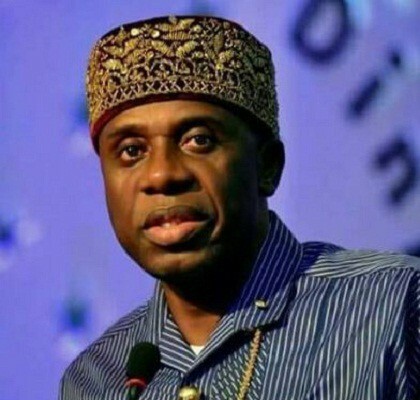 Explaining further, Amaechi said his visit to some of the agency’s training centers, like the Research, Rescue and Resource Center Institute (RRRCI), including the library, to mention a few, in Lagos, revealed decay facilities meant to promote and facilitate the man-power development of the agency. He thanked the committee members for what he described as a detailed and well articulated report, noting that he would work in conjunction with the Ministry’s management to carefully study the report and come up with a decision that will be of best interest to the growth and development of the maritime sub-sector. Speaking earlier, Director-General of NIMASA, Dr. Dakuku Peterside, who presented the report to the Minister, said the committee was mandated to draw up a framework template, that would be used for the restructuring, reforming and re-positioning of NIMASA, to make it performed optimally. Dakuku further explained that the committee worked diligently to achieve its mandate, stating that a few challenges militating against the optimal performance of the agency were uncovered. He added that the committee members would wish that the report is adopted, noting that it will serve as a catalyst to moving NIMASA to the next level.